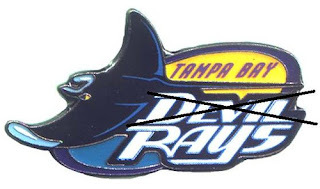 Well, how about that 9th inning last night? 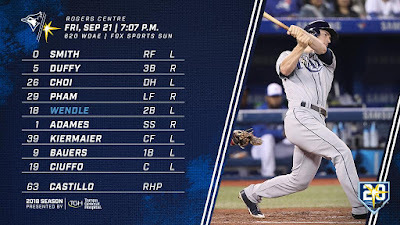 The Blue Jays look to build upon the momentum of that titanic 7-run comeback into tonight's second game of four against the Rays. That might have been the most exciting comeback in a non-playoff-atmosphere in quite some time. 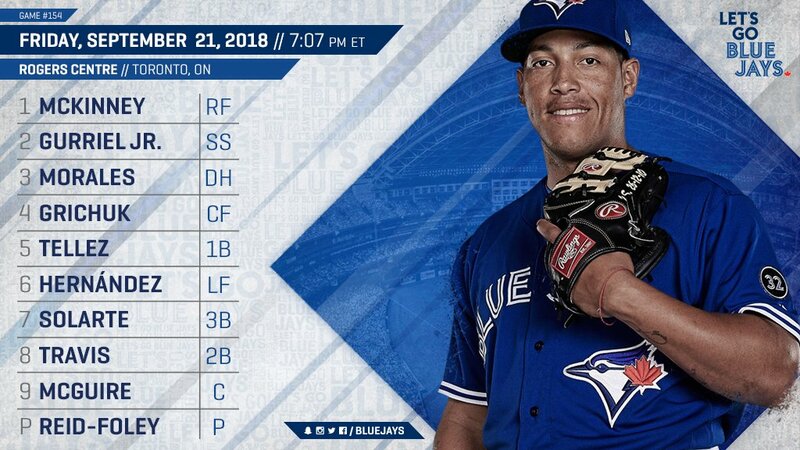 Jansen, Gurriel and finally, Smoak to walk it off. SRF looks to continue his mostly-solid pitching in his second chance since being recalled from Buffalo, as he's gone 2-1, 3.78 with two 10-K games since returning to Toronto. He goes up against some chap named Diego Castillo tonight. Tough to top that for news, huh? It's cause for a massive celebration: Jeff Banister is out as manager of the Rangers. They politely told him to take a long hike on a short pier now rather than wait until the end of the season to make the change. Something cool happened yesterday: Francisco Arcia of the Angels became the first ever to catch, pitch and homer in the same game. That's right, he started the game at catcher, later moved to the mound to pitch two innings while the Athletics were destroying the Angels 21-3, and then wrapped things up with a HR in the 9th inning. This is your "let's go 9th-inning streaking" game thread.